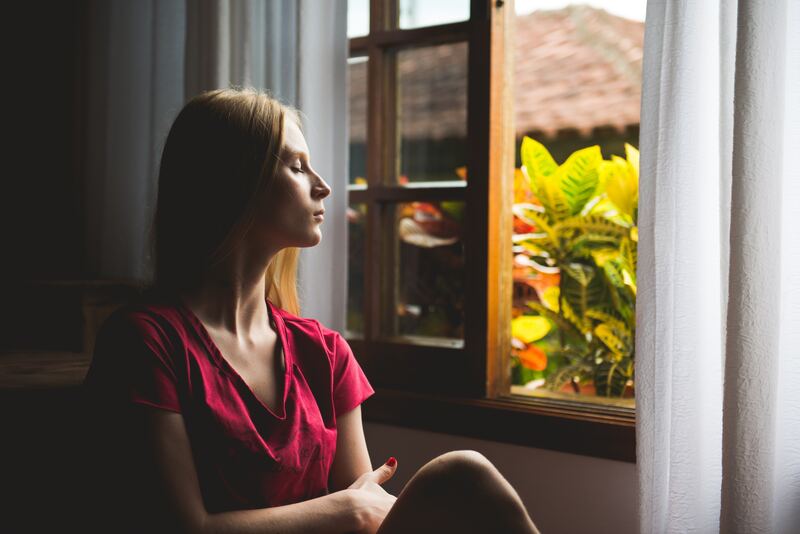 Home Carolynne Mindfulness: A method for improving mental health? The difficulties that come with being a student are boundless. Exams, homesickness, staying healthy, sexual harassment, drinking culture, money, making new friends, balancing studies and getting a job… the list could go on forever. No matter how big or small you deem your own issues to be, they are still difficult. Being told that someone else has it worse shouldn’t invalidate your feelings, and you don’t have to ignore the way you are feeling. Most importantly, you don’t have to put up with your feelings. I was doing all the things you’re told to do. To stay active, invest your time in a project and set realistic goals. To take time to yourself, do things that benefit others, and eat well (although I do have a weak spot for pizza, and a love of the Sugarhouse didn’t make drinking less alcohol and caffeine easy – three for £5 VKs are just too good to resist). No matter how much I took on and exhausted myself, I couldn’t sleep. Not the sort of “can’t sleep” like when I’m nervous for an upcoming exam, but the sort of “can’t sleep” like when I put my head on the pillow and spend hours and hours in my own thoughts, only to fall asleep at 3am and wake up every half an hour onwards. I would be irritable in the day, despite trying hard not to be, and it took every ounce of courage I had to slap a smile on my face each morning. I knew the exact reason I wasn’t able to sleep but I was too scared to do anything about or acknowledge it. After encouragement from my boyfriend, I took the first steps to getting help. There’s no shame in admitting you need some support and I only wish that I’d figured that out sooner. The best thing the doctor ever told me about, and the first thing I share with anyone else who says they are struggling, is the practice of mindfulness. Now, I had the same reaction at first. I imagined some hippy-style practice, and people in tight lycra sat on a beach gloating about the perfect state of their own lives because they can “connect with themselves” or “be at one with the world”. The last thing I wanted to do was sit each day wrapped in my own thoughts: I did enough of that between 11pm and 3am. But mindfulness is a popular practice amongst many celebrities: Hugh Jackman, Angelina Jolie, Miranda Kerr, Kobe Bryant, Oprah Winfrey. Both Tom Brady and Gisele Bündchen use mindfulness and if it’s good enough for a world class NFL player and supermodel then it must be half decent, right? As instructed, I downloaded the Headspace app for free and gave it a go. According to mindful.org, mindfulness is “the basic human ability to be fully present, aware of where we are and what we’re doing, and not overly reactive or overwhelmed by what’s going on around us”. It’s about taking the time out, just ten minutes a day, to stop and experience the moment you are in. No worrying about the past, no fretting over the future: just being present. The best part about mindfulness is that there is no right way to achieve it. You can do it on the sofa, on the train, the bus, in a coffee shop, before a lecture, in bed… the choices are endless. Mindfulness is not about stopping thoughts, it’s about acknowledging that they are there and then bringing yourself back to the moment. It’s about focusing your attention on your thoughts, feelings and sensations but not letting them get the better of you. You sit, you pause, and you notice. Developing mindfulness can involve learning how to conduct a body scan, in which you make a mental note of how your feet, your legs, your hips, your chest, and so on are feeling. Then you bring your attention to your breathing and count, keeping your mind in the moment. Your mind will wander, it’s only natural, but you notice this and bring it back to your body. It’s not a complicated or strenuous practice, it doesn’t take tons of time and anyone can do it. As well as the Headspace app, you can use multiple online spaces to find mindfulness practices. There are YouTube videos, websites and blogs about what people have found best for them. I only used the Headspace app because it was recommended by a doctor and I found that the structured convenience of having it on my phone made it easy to do. You can also set reminders and notifications for little inspirational quotes or prompts to do a simple exercise. Think of mindfulness as training. For example, if you played football you would train regularly, get your body used to the routine and the techniques, and eventually improve the quality of your game. Mindfulness is about training your mind. Practising the techniques and strengthening and improving your mind. Indeed, athletes do use mindfulness. NFL player for the Tennessee Titan’s defensive line, Derrick Morgan, practises mindfulness. He does so to cope with the pressure, to focus on a match and place his mind in the right space to perform. We can do the same as students. Whether it’s to prepare our mind for a sports fixture, exam or interview, or even to help us manage productivity and distractions. Mindfulness can help lower stress, which is particularly useful for us students around exam season! By focusing your mind, you can improve your revision and focus in exams, and calm your feelings before presentations and interviews. It reduces the “brain chatter”, which arises from the overthinking side of your mind. It can help you connect better with friends and family, as it makes you more able to process your feelings and also give others your attention. It also helps to reduce pain, both mental and physical. Remember that practising mindfulness should never be a complete substitute for receiving professional help for severe health issues, and counselling services should also be accessed if you need them. But mindfulness has helped me to put some worries aside and acknowledge how I’m feeling, and most importantly I’ve found a way to sleep again. Cambridge Professor Peter Jones, from the department of psychiatry, has said, “evidence is mounting that mindfulness training can help people cope with accumulative stress. While the benefits may be similar to some other preventative methods, mindfulness could be a useful addition to the interventions already delivered by university counselling services. It appears to be popular, feasible, acceptable and without stigma”. Mindfulness can be done in private, without anyone else knowing, or you can practise it with friends in a group. It doesn’t involve talking about your struggles or having to open up to anyone except yourself, and that makes it a lot easier to begin the process. You can do it at your convenience, it takes anywhere between three and ten minutes a day and can be used long-term as well as for a quick fix in a stressful situation. Plus, it’s free! If students love anything, it’s free stuff. Whether you practise mindfulness to aid your performance in exams, sports or relationships, or boost your mental health in general, it can teach something to everyone. Give it a go!